Modern libraries are about a lot more than just books, and this allows people to access CDs and DVDs. There are also computers available in Harpenden Library and it is also possible to print documents from these machines. There are some facilities or buildings that play a role in helping a local community to thrive and prosper. While many people will talk about the need for shops, restaurants and bars to help people socialise and create a sense of atmosphere in a local area, there is a lot to be said for having a library in a local community. A library provides information to people, but it can provide education, entertainment, a sense of belonging and it can give people something to look forward to and something to belong to. 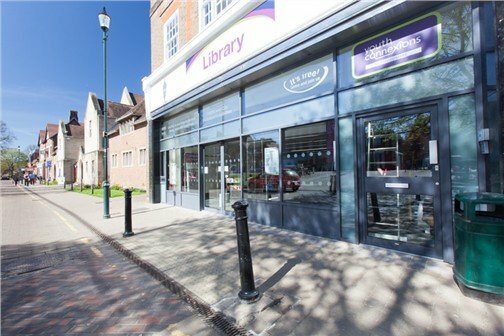 These are all major reasons why Harpenden Library is a big part of the local Harpenden community and being located in the High Street ensures that it is at the heart of Harpenden life. Harpenden Library is open 6 days a week, closed on Sundays, and this means that it is able to play a part in everyday life for most people. In some parts of the week, the library is run by volunteers and there are other parts when it is run as a Library Express service, but it is better to provide some service than no service at all. Given the changes to the working week and an increasingly wide range of shift patterns, it is good to know that there is a degree of flexibility in the available hours of the library. During the express hours, access to the library is limited to a small area at the front of the library. This provides access to popular books, DVDs and CDs. It also means that people can return anything that has been taken out, items can be renewed, overdue charges can be paid and items from the popular titles and topics can be booked out. Modern libraries are about a lot more than just books, and this allows people to access CDs and DVDs. There are also computers available in Harpenden Library and it is also possible to print documents from these machines. This helps to ensure that people can collate information as and when required, and the library has helped many youngsters and students study and hand in reports. The library is also able to provide fax facilities should they be required. As you would expect from a service aimed at everyone in the local community, Harpenden Library aims to provide access to as many people as possible. This includes providing disabled parking spaces and the library offers wheelchair access. There is hearing induction loop facilities and there is an also an electronic magnifier available if needs be. 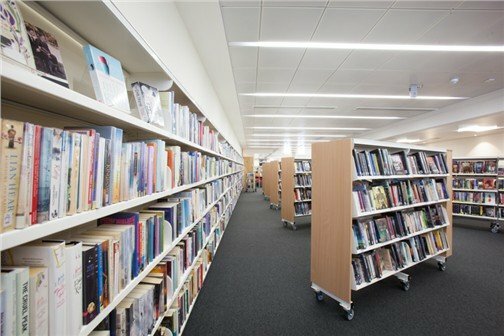 With free Wi-Fi facilities also on offer at the library, Harpenden Library aims to provide everything that the local community could need. There are a number of groups that meet in Harpenden Library including Baby Rhyme Time, Toddler Tales and Chatterbooks. These are all aimed at helping youngsters develop a love of reading while ensuring that parents can meet with other parents who have children of a similar age. With rooms and exhibition space for hire in the library, there is always a good reason to pop over to the Harpenden Library.